Time and again you may be facing the wrath of authorities of your country indirectly when you surf the internet. Today's age is of social media explosion which means that every little bit of news generated anywhere in the world makes it to the internet in form of blog, Facebook, Gmail, Reddit or other resources. When the authorities dont like the content they often pull the plug on the provider of such services, Firewall them, or make them disable country specific IPs. However freedom of expression is a birth right of every individual on this planet. The expression may be in any which form as long as it is not personally damning against somebody which is very difficult in this age. It so happens that the service providers are obliged to listen to the authorities and stop the services for certain countries. Countries like China, Brazil, Egypt, Iran, Kuwait, Libya, Malaysia, Morocco, Myanmar, Oman, Pakistan, Qatar, Saudi Arabia, Syria, Tunisia, UAE, Turkey, Thailand, Yemen and Vietnam block many websites and content while North Korea imposes a total blockage of sites considered pro to the western world and South Korea. 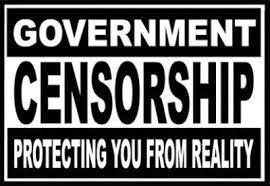 In order to beat the censorship you have several ways as of now like proxy sites, Hot Shield etc. but they all come from not so reputable companies which vanish as fast as they come up. Not any more. Google has taken over the mantle of upholder of freedom of expression in right earnest and is beta testing a new service called uProxy. uProxy will be given as extension to Chrome and Firefox browsers in your respective countries and you can use it for free. The advantage of having a inbuilt browser extension for Chrome and Firefox is that with uProxy you can bypass restrictive firewalls which interfere with your accessing vital and sometimes very trivial information online by creating peer-to-peer connections. How will this work? Suppose you want to see a YouTube video which is banned for some reason in your country, you can contact somebody in the country, where the video is freely available, to authorize you to surf the internet and watch the video using your contact's connection. This way you beat the censorship in your country without harming your own connectivity. The uProxy service though provided by Google is not built by them. It is the creation of the University of Washington and Brave New Software. Google has joined hands with them to start the service which now has been opened restricted beta users. You can sign up for Google's uProxy here. Though acceptance as a beta tester may not be guaranteed, it is often useful to have a censorship free ride on the net.